It’s tough out in the recruiting world these days. With the average cost-per-hire hovering at around $4,129, the pressure to bring in and retain new talent is greater than ever in the current candidate-driven market. The Society for Human Resource Management’s 2016 Human Capital Benchmarking Report sets the average time to fill a position at 42 days, while Glassdoor reports that the average job seeker reads at least six reviews before forming an opinion on a company. In short, skilled workers know they have options. With roughly 200,000 active-duty military members leaving the service each year, it’s no secret that hiring veterans is a smart business move. 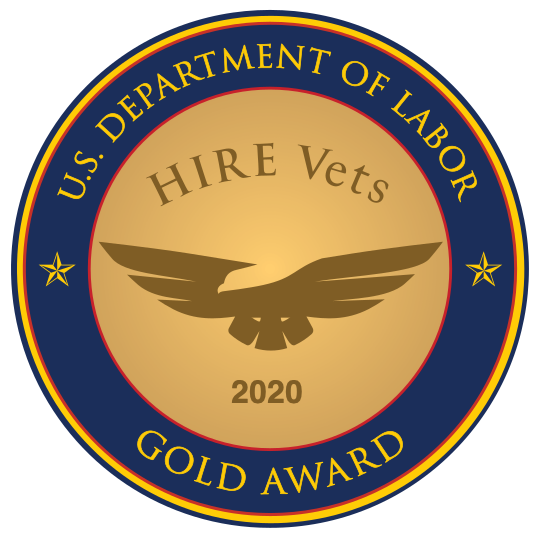 Many organizations use a dedicated veteran hiring program with a streamlined, consistent process for recruiting top veteran talent. But for companies that may be looking into developing such a program, the biggest question is “how?” The prospect of building a robust and long-lasting program can be daunting, to say the least. There’s no playbook, and every company has different structure and needs. Nevertheless, successful military talent acquisition programs carry a few universal traits. In this blog series, we’ll unveil key aspects of the best-in-class veteran hiring programs. What qualities do veterans possess that are important to the organization? Is it leadership, technical skills, hiring preferences, or security clearances? This will help you crystallize the reasoning before dedicating resources to a military program, and what the gain will be. Some organizations have a buttoned up, structured culture where military people make seamless transitions. Other organizations seek people who have technical skills that are abundant in the armed forces. And still others seek the leadership, people and process management skills that the military has perfected in its small and large unit leaders. It’s simple: the impetus must come from the top down. Companies that run legacy military programs (the ones who’ve been at it for a while, successfully) have executive leaders, and usually even the founders or CEOs of the companies speaking on behalf of their military hiring efforts. In a lot of cases, those executive sponsors are prior service themselves. Nothing says “We’re doing this” like the CEO of the organization being involved in the construction of the program. Beyond the executive support, the program needs an executive sponsor. Ideally, this is someone who knows the organization inside and out, is an established leader and influences decisions made in the company. This person will also be in close contact with the program leader and their operations, to ensure needs are being met. Up next: Leadership and Staff Training as key elements of a successful veteran hiring program. Matt Disher is a Marine and a Recruiting Partner at Bradley-Morris, Inc. – RecruitMilitary. View his LinkedIn profile here.